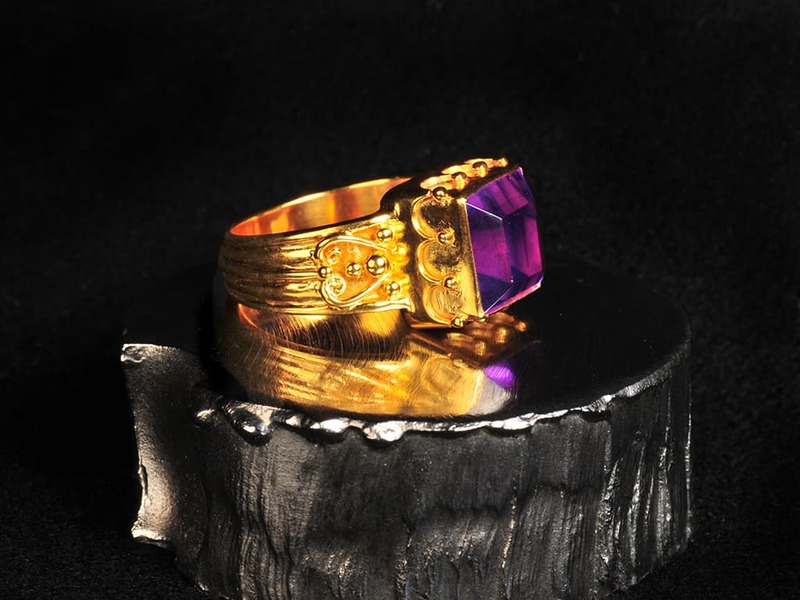 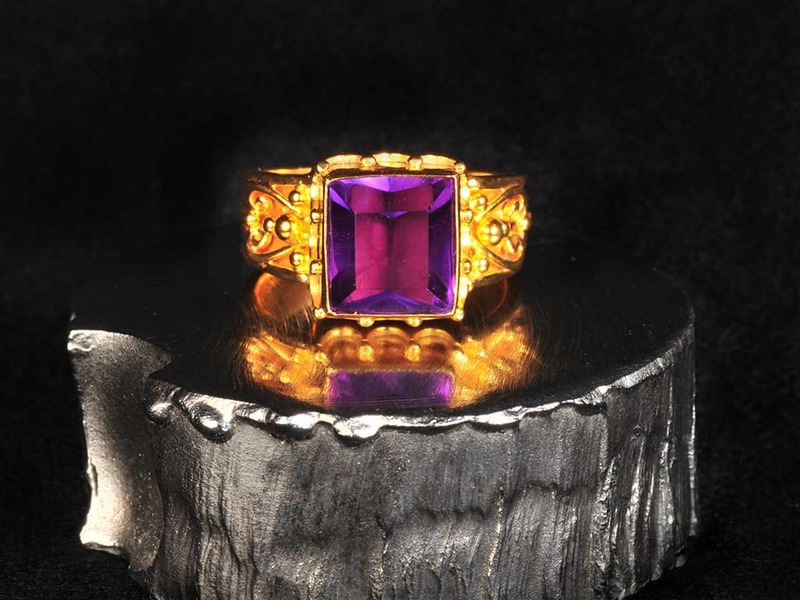 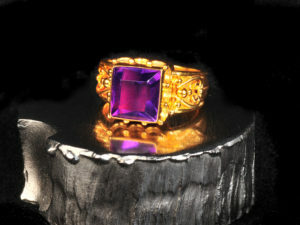 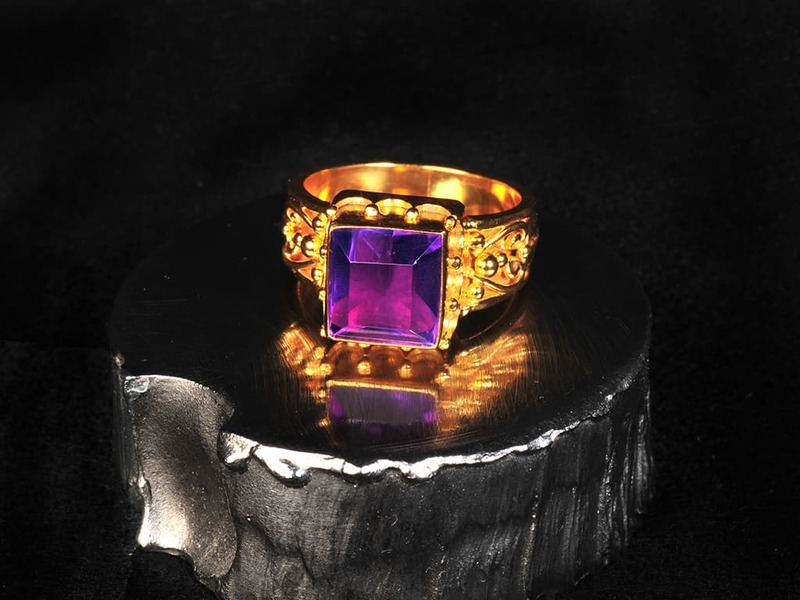 This is an incredible 18k solid gold ring set with a giant electric purple amethyst. 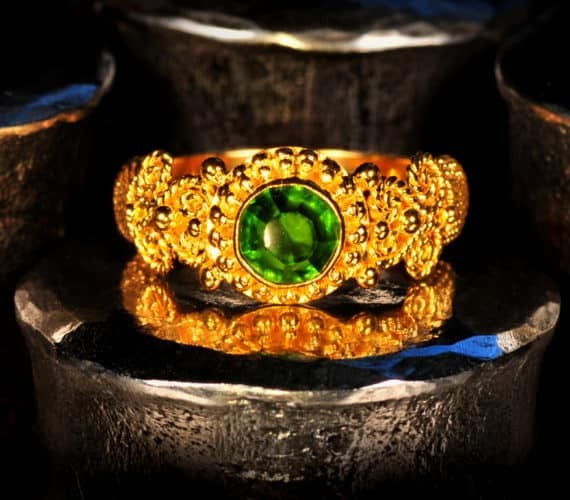 The piece is based on Balinese designs with intricate decoration around the bezel and fine wire details on the band. 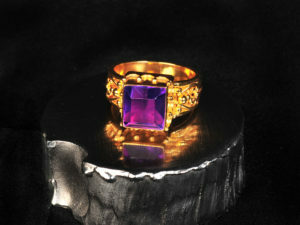 The ring at its widest point is approx. 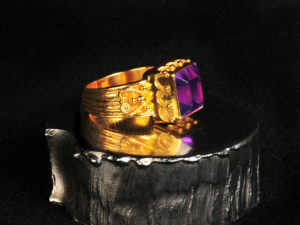 1/2” wide (at the front – top to bottom) and the band is approx. 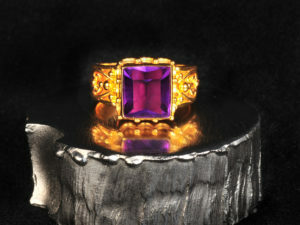 3/16” at the back. 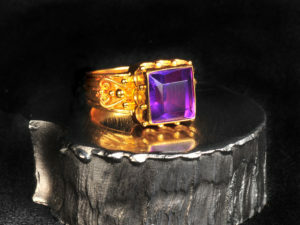 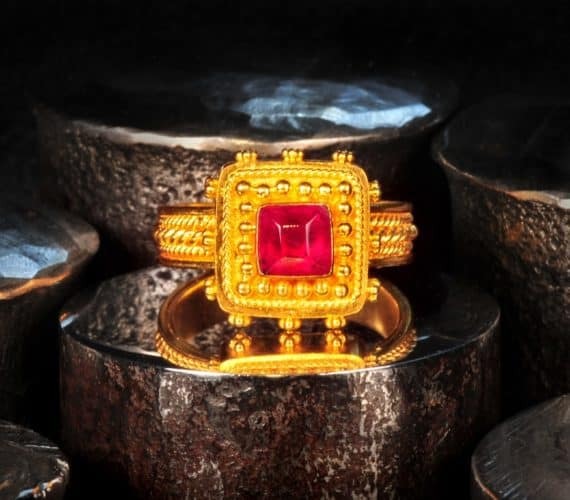 It is a medium-heavy weight ring with over 9.5 grams of solid 18k gold. Learn more about Amethyst at this link.